Fan Size 254mm / 10-12". Rib dia: 2.0mm. 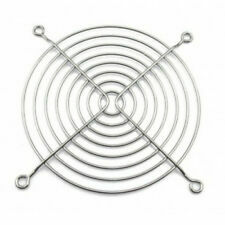 This beautifully designed fan grill improves every fan's appearance. Weld Joints: To withstand 88lbs pull force. Centre Plate: 46.6mm. Ring dia 1.6mm. &amp;amp;amp;amp;amp;lt;/font&amp;amp;amp;amp;amp;gt;. 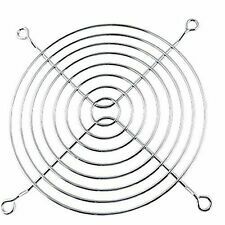 The longest standing fan grill. WatercoolingUK was born back in 2004, when watercooling was a very new idea, very much un-tested and struggling to break through into what we now see as the mainstream of computer cooling, for high end systems or for systems wanting ultimate silence, or just because it looks cool right?. 80mm Fan Grill Finger protection. - Protect the blades of your fan. We try to ensure an efficient service. 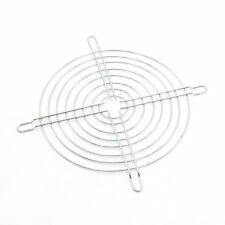 80mm Biohazard Cover/Grill for PC Fan (Silver) Condition is New. 80mm Skull Cover/Grill for PC Fan (Silver) Condition is New. 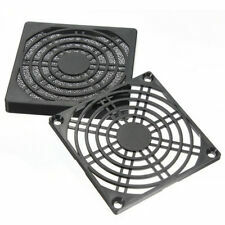 80mm Dragon Cover/Grill for PC Fan (Black) Condition is New. 80mm Fan Grill Finger protection. - Protect the blades of your fan. We try to ensure an efficient service. >> More Information. Protects fan blades and wiring from damage. Requires 4 mounting screws. Ideal protection against electronic parts injuries caused by fan blades' rotating. Size:120 x 120mm Color:Silver Brand Unbranded MPN Does not Apply UPC 4894462416983 ISBN 4894462416983 EAN Does not apply. 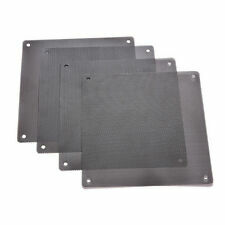 Plastic finger guards,suitable for fans 80mm x 80mm. PLASTIC FAN FINGER GUARDS. 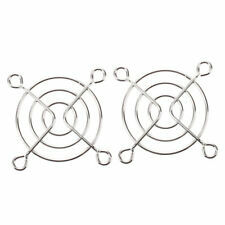 Product Name : CPU Fan Grill Guard;Fit for : 12cm 120mm FanMaterial : Metal;Color : Silver ToneSize (Approx.) : 120 x 120 x 3mm / 4.7'' x 4.7 x 0.12'' (L*W*H)Net Weight : 34gFor use with 120mm computer case fans.Provides added safety.Protects fan blades and wiring from damage.Requires 4 mounting screws (not included).Ideal protection against electronic parts injuries caused by fan blades' rotating.Please check the size of you PC fan before ordering.Package Content : 1 x CPU Fan Grill GuardNote:Light shooting and different displays may cause the color of the item in the picture a little different from the real thing. The measurement allowed error is /- 1-3cm. MPN Does not apply Brand Unbranded UPC 4894462032831 EAN 4894462032831 I. Adjust for: 12cm 120mm Fan. - Protection Ideal against injuries caused by rotating parts of the electronic fan blades. - Color: Silver Tone. - Size (Approx.). : 120x120x3mm / 4.7x4.7 '"' x 0.12 " (L W H). In good used condition. Made by Foxconn. DESKTOP FAN CASING AND GRILLS. Fan Size 120mm. Material Steel. External Height 115.6mm. Svga Monitor Cables. Ending Soon. New Arrivals. Adsl Cables,Filte. Power Cables & Splitters. MSI GAMING - Any Colour 120mm Fan Case Guard Grill PC Modding. (Supports All 120mm Fans). - M.2 SSD Cover Plates -. 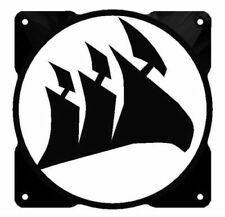 - 2.5 SSD Cover Plates -. - Dual Colour Versions -. Size:5cm (for 5cm fan ). Material : Stainless Steel. Color : Silver Tone. Product side length: 12cm 12cm(120mm 120mm). Material: pvc material. Role: installed in the fan inlet. Reduce dust and protect fans, prolong life. Fan Size 80mm. 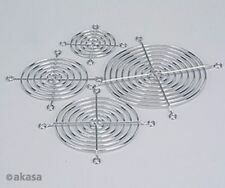 This beautifully designed fan grill improves every fan's appearance. Weld Joints: To withstand 88lbs pull force. Ring dia 1.8mm. &lt;/font&gt;. 12 MONTHS WARRANTY.